Just got in a few hours ago, from a long day in Burbank. 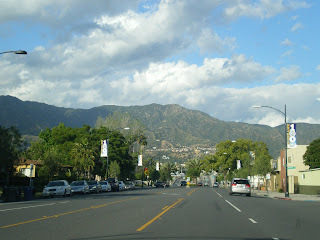 After breakfast today, we headed into Burbank, for our visit to the Ellen Show. ( We will be airing tommorow everyone. I was on one of the end aisles and Ellen danced beside me.I am wearing a dark blue top and my daughter Erika is beside me with her hair up and in a black dress. Gerry is beside her, wearing a white shirt. )Please let me know if you watch it tommorow. We'll be busy running around site seeing, so may not be able to see it online till late in the day. We went to the studio at 1 pm but didn't have to be there till 1:30. It wasn't until 3:30pm that we were taken across the street to the studio for the taping.The studio was very small-nothing like what you seem to see it as on tv.Ellen of course looked wonderful.A great show. The time went by before we knew it. It was alot of constant cheering, clapping, and hooting and hollering during the show and at break times. I was worried I was going to be all hoarse afterwards.By the time we finished waiting for Erika in the souvenier shop, we never made it out till about 5:30 pm. All 3 of recieved a $100 gift card from Rite-Aid from today's show-woo hoo! 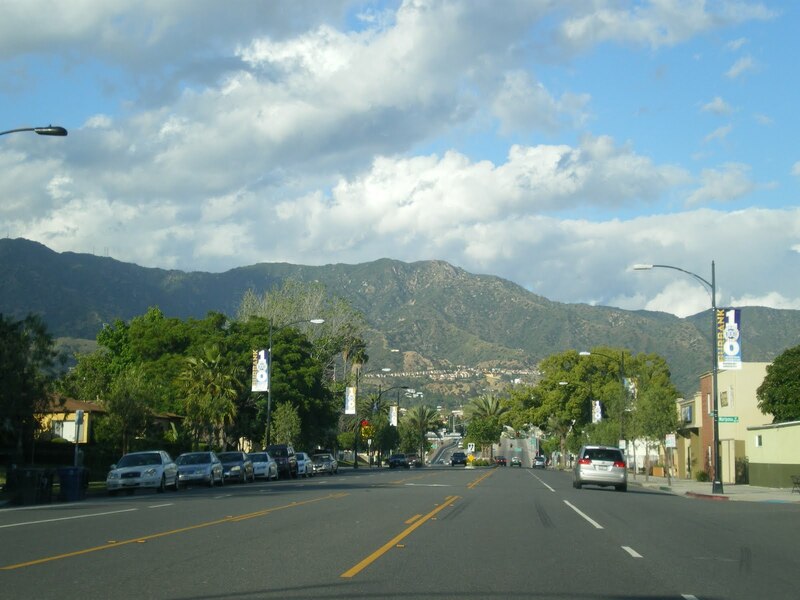 I love the landscape here and the mountains that surround the city. There are so many unusual trees and everything all looks so healthy and grows so big and green.Burbank is a very nice city. Supper tonight was courtesy of our sponser Pizza Hut. We visited a nice pick up location in Burbank where our cashier/hostess,Amy made it a very nice visit for us.People really do make all the difference!